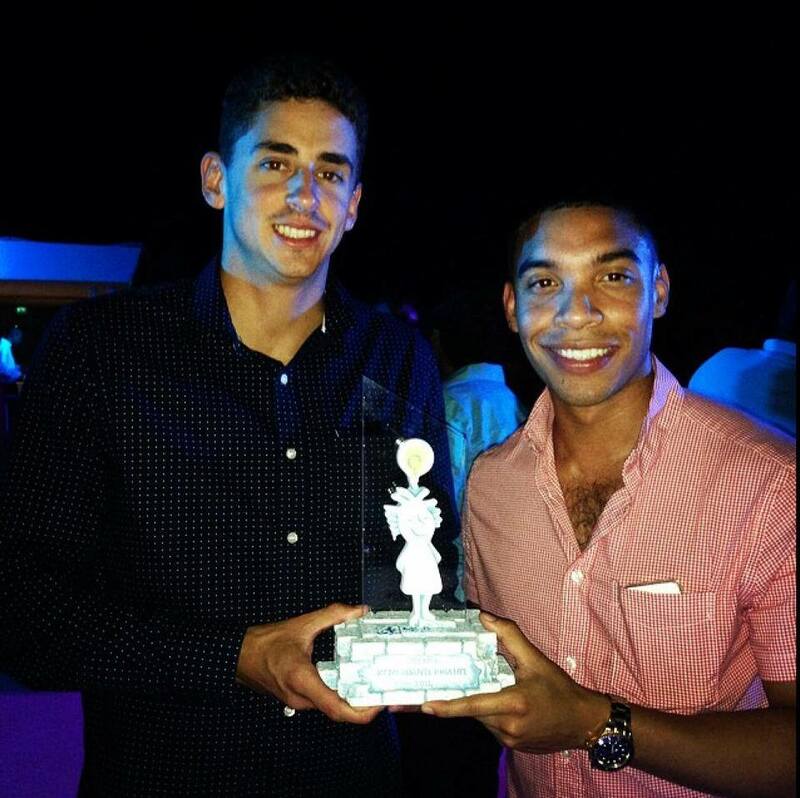 Boudino de Jong and Gino Jacobs with their ‘Komersiante Briante 2014’ trophy, entrepreneurship prize awarded by MCB. 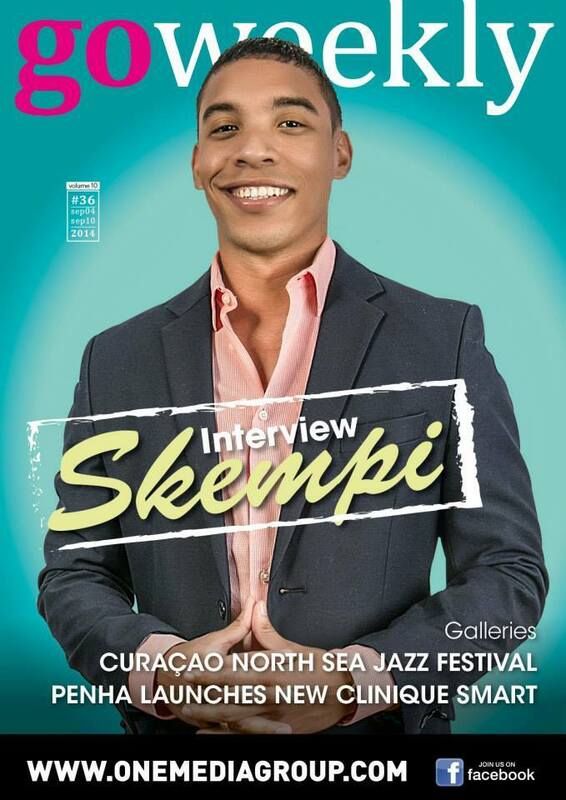 The founders of Skèmpi, Gino Jacobs (27) and Boudino de Jong (26), are kindred in their passion for entrepreneurship, technology, music and Curaçao. Long-time friends they decided to collaborate on Skèmpi, a (now) popular online music streaming service for Dutch Caribbean music. The majority of startups fail… What keeps you motivated? Jacobs on the cover of GO Weekly magazine. What are some of the challenges facing Skèmpi right now? Good luck guys, we’re certainly rooting for you! This profile is part of the BearingPoint‘s Awesome Young Professionals series. Special thanks to BearingPoint for sponsoring 1000 Awesome Things About Curaçao.